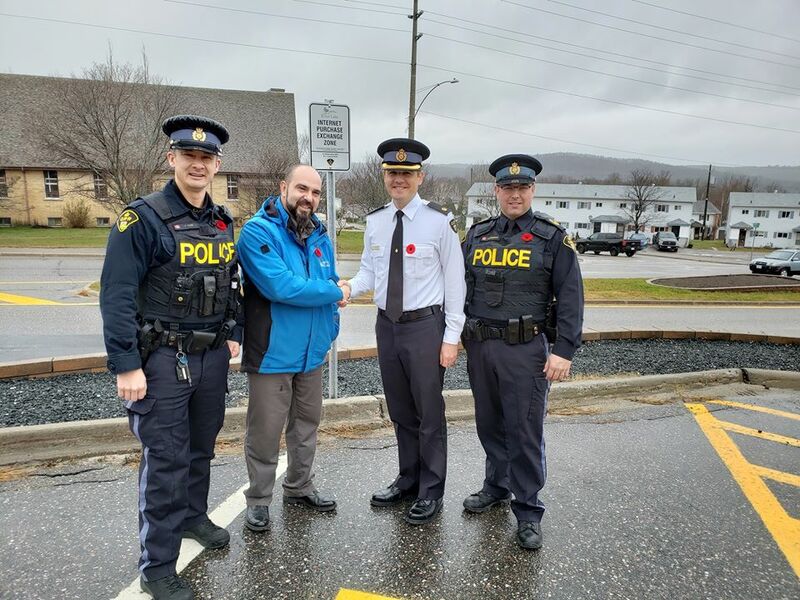 Constable Phil Young, Elliot Lake Mayor Dan Marchisella, Detachment Commander Tyler Sturgeon and Sergeant Matt Sonnenburg at the launch of the Project Trade Safe initiative. Photo provided by Dan Marchisella. 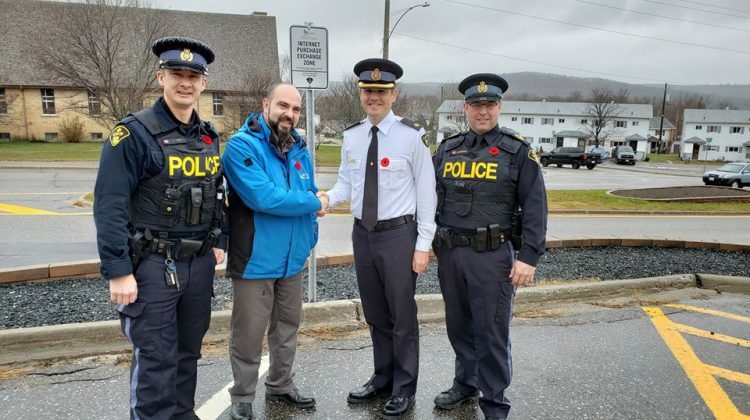 On line transactions just got a lot easier, thanks to the East Algoma Ontario Provincial Police Project Safe Trade that is now available in Elliot Lake. East Algoma OPP Detachment Commander, Inspector Tyler Sturgeon says the new Project Safe Trade site is located at the Elliot Lake detachment at 47 Hillside Drive North. Sturgeon says the purpose is to create a “community safe zone” at an OPP detachment parking lot to facilitate online property transactions. He adds the perceived presence of law enforcement ideally may deter unlawful behaviour. It’s such a simple concept, but it presents great potential for crime avoidance and increasing public safety, adds Sturgeon. Online classified and auction sites are often used as tools to sell stolen property to unknowing victims and can present a safety threat. In order to increase public safety and reduce crime, the East Algoma Detachment of the Ontario Provincial Police is inviting members of the public to use their OPP detachment parking lot to facilitate property transactions arranged online.